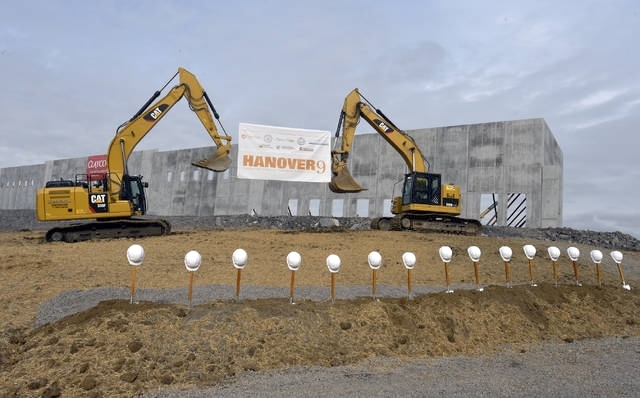 Mike Dziak, EC’s President & CEO, was one of many area dignitaries on hand for a groundbreaking ceremony marking the redevelopment of EC’s former Hanover 9 site. Purchase earlier in 2018 by Missouri-based developer NorthPoint Development, three buildings are slated for the area, including one at 1.4 million square feet – the largest such facility in northeastern Pennsylvania. Senator John Yudichak commended Earth Conservancy on its vision and efforts, along with the ongoing support of its government, agency, and community partners. Together, we are generating the environmental and economic progress we envisioned 24 years ago. Read more about the event here, here, and here. Photos credit, Amiee Digler, The Times Leader.